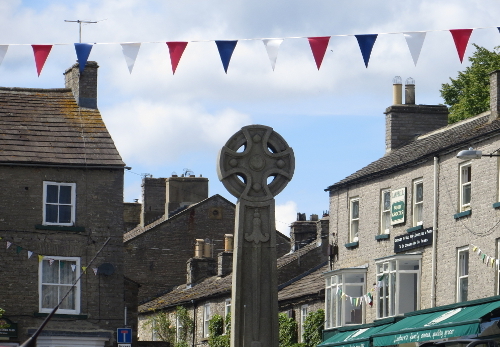 Ripon – Leyburn, Bus No. 159, 3,90 GBP. 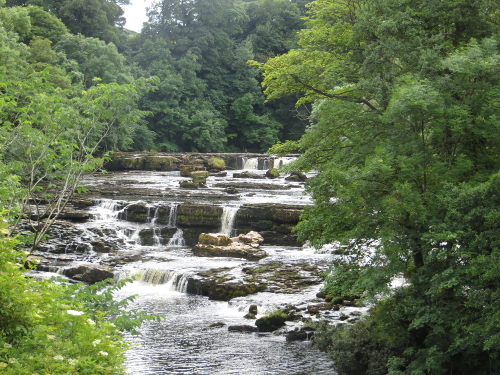 Leyburn – Aysgarth, Bus No. 156, 2,80 GBP. Hat alles in allem fünfeinhalb Stunden gedauert, wäre aber auch problemlos in dreieinhalb möglich gewesen, wenn ich nicht in Leyburn eine Mittagspause eingelegt hätte. Das Städtchen fand ich nicht so prickelnd – da war Ripon schon interessanter und in 70 Minuten Aufenthalt dort konnte man sich zumindest ein paar Highlights ansehen. 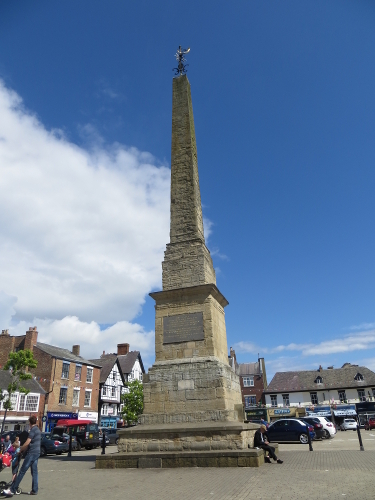 Zum Beispiel den Marktplatz und die Ripon Cathedral. 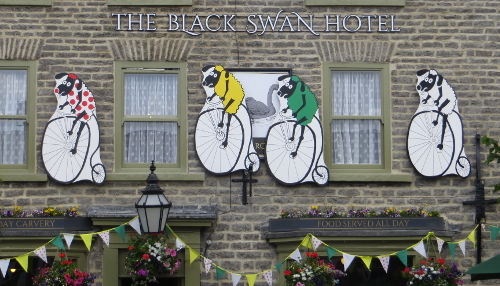 All in all it took five and a half hours to get there but it would have been possible without problem in three and a half… it’s only that I decided to have lunch in Leyburn and let the bus go! 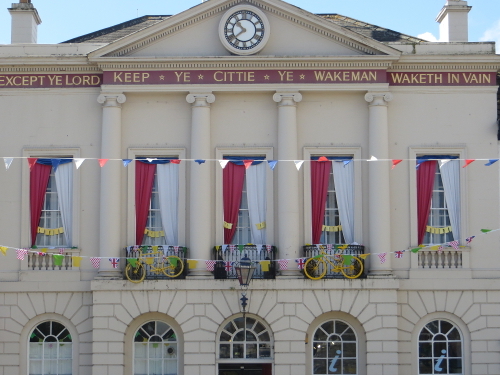 I didn’t much like the town but luckily there’d been a 70-minute stopover in Ripon which allowed me to check out some of their sights, like the market square and Ripon Cathedral. Nach dem Einchecken im B&B bin ich noch zu den Aysgarth Falls gelaufen, das sind drei Stück. Und die meisten werden sie kennen, denn sie sind jene, an und in denen Kevin Costner als Robin Hood zum ersten Mal den Geächteten begegnet und mit Little John klar macht, wer der Boss ist. Man kann da aber auch sehr gut einfach nur sitzen und dem Rauschen lauschen. 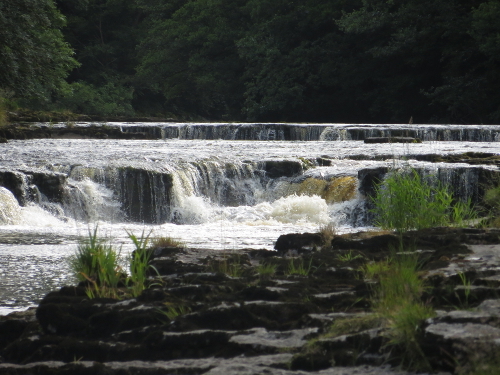 After I had checked in at the B&B I took off again to walk down to Aysgarth Falls – three of them. And most of you will know them as this is where Kevin Costner as Robin Hood first meets the outlaws and fights with Little John in the water. 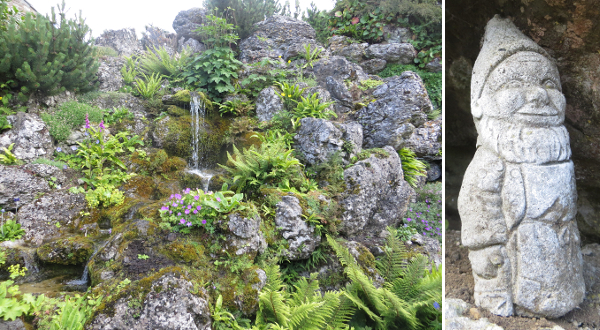 Just to make sure I’d seen everything in this tiny village with only a few houses around the village green and its war memorial I also went to see the Edwardian Rock Garden. It was first built at the beginning of the 20th century but only rather recently rehabilitated. It’s much larger than you first think when you enter… And for quite some time I tried to figure out where the sensors were that set of the artificial waterfall. Couldn’t find them, though. Dieser Beitrag wurde unter On the road abgelegt und mit UK, Unterwegs verschlagwortet. Setze ein Lesezeichen auf den Permalink. Oh wow Barbara what a magnificent post, love those water views, the way they decorate and I can just imagine the hustle and bustle going on with the race! Wish I was there! I LOVE Kevin Costner & Robin Hood!